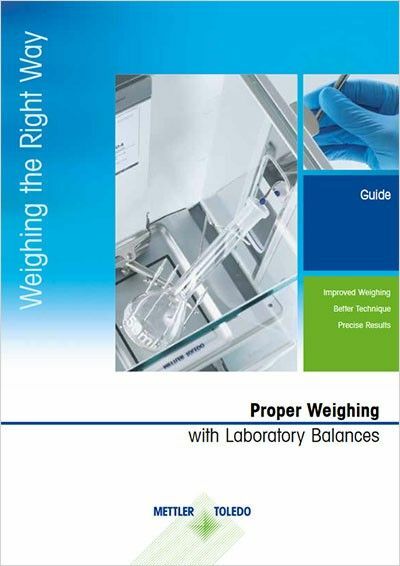 Weighing the right way guide provides our recommendation of how to achieve more accurate weighing results and avoid mistakes when working with laboratory balances. 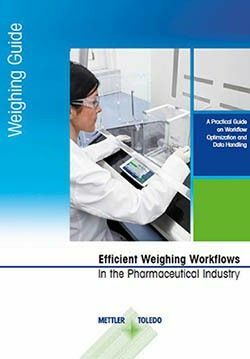 Factors affecting weighing accuracy can negatively influence the results of the whole analysis, therefore it is important to be aware of the rules that need to be followed when working with laboratory balances. Weighing is one of the most common, critical task and time consuming tasks in the laboratory, therefore, weighing the right way is crucial. Balances have developed to the point that, in general, no special weighing room is necessary, except maybe for ultra-micro balances. 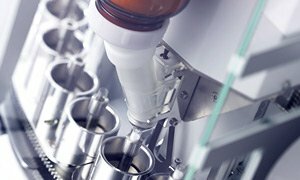 Technological advances in electronics have considerably simplified the operation of balances, reducing weighing times. Moreover, the touchscreen digital display makes operation of the balance intuitive. 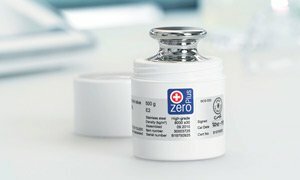 Certain sample characteristics could also be mistaken for external influences – such as evaporation of liquids, or hygroscopic/hydrophobic solid materials gaining or losing weight. 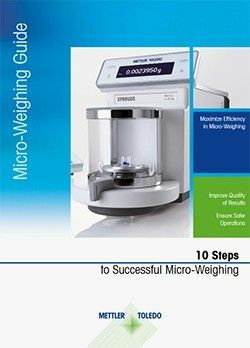 The purpose of this guide is to identify most common factors affecting weighing accuracy and to explain the basic rules of weighing the right way with laboratory balances. This guide begins with suggestions for the optimum location of a balance. It then describes proper operation of this sensitive instrument, before analyzing possible external influences and their effects. Most of these influences are recognizable by a slow change in the weight display (drift). 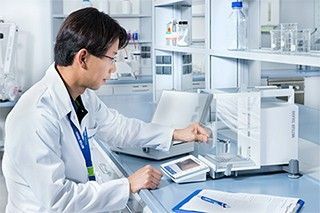 Technologically advanced balances allow laboratory professionals to perform weighing faster and smarter, even without having to use a special weighing room. The influence of external factors (e.g. airflow, magnetism, electrostatic forces). 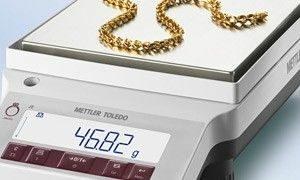 Following METTLER TOLEDO "Weighing the Right Way" guidelines will help you understand which are the factors affecting weighing accuracy and how to minimize the possibility of making a mistake during the weighing process. Save time and get your weighing results right the first time. 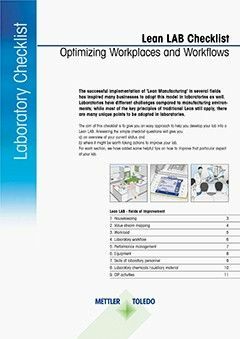 This Lean Laboratory Checklist provides a simple way to assess the current status of your lab and identify where productivity can be improved. Why is Balance and Scale Calibration Important? 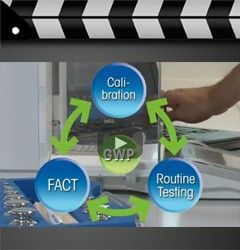 Download the White Paper on Calibration: What is it? 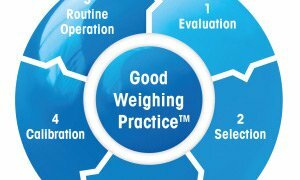 Select weights to test your balance from a wide range, and optimize your weighing processes with smart accessories.